Android is the Windows of next generation. Its open, free, widely adopted and smart enough to outsmart Apple’s iOS. It’s a stolen product and cheap imitation of iOS, but Steve Job’s once quoted saying good artists copy and great artists steal. Alright, this post is not about Android vs iOS or is it really stolen or not. 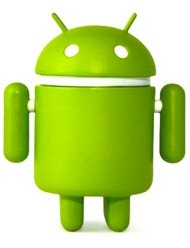 Android is a great OS for mobile devices and it lets you do amazing through mobiles. In this post I want to write about the geeky things we can do with an Android Smartphone. Assume that it is a lazy weekend and you are on a couch watching movies on a laptop which is a meter away. Now you want to adjust volume or skip a scene/song. How to control your laptop without moving out of couch? Just install Universal Remote free app on your smartphone and start control your computer using phone. Universal Remove app controls computers over Wifi or Bluetooth networks with dedicated remote controls for various media players and applications like YouTube, VLC & Spotify. The application is very easy to use and works amazingly well in controlling computers. Few of the remote controls provided in the app are – Mouse, Keyboard, Media Controls, Power, Start, Windows Media Player, VLC Player, YouTube. There is also paid version of this app with additional remotes, but for most of the users Free version is good enough. You can stream YouTube videos playing on your mobile to computer/smart tv. This is something similar to Apple’s most popular AirPlay feature, but works only with YouTube videos. To start streaming videos install Google’s YouTube Remote on your smartphone, open youtube.com/leanback on your computer and pair up mobile with computer. Once the pairing is done, videos played on YouTube Remote app will be streamed on to your computer. Access your mobile using any web browser – send/receive SMS, view photos/call logs, etc. Want to control your mobile phone using a computer? Install AirDroid app on your phone and start controlling your phone using computer browser – send and receive messages, view call logs, play music, upload/download files, edit contacts and many more. At times it’s lot of fun to access mobile using a big screen devices like laptops. With Google Chrome to Phone installed on your computer and mobile, you can send links and other information from Chrome browser to your Android device. With a click on Chrome browser, the current webpage of Chrome browser will be automatically launched on Android device. This is very handy when you want to send links, send driving direction to mobile using Google Maps and launch phone dialer with number selected on webpage. To install apps on your smartphone you really don’t need to touch it. Open any web browser, sing in to Google Play with your Google id that is associated with smartphone and start installing apps on to your phone right from the browser. As you browse apps on Google Play store, you find Install button and all you need to do is to just click Install. Google will automatically installs app on your mobile within few seconds. « Team Foundation Server– Debug symbols(pdb files) generated in Release build? Fix it.